The defence experts on Saturday were seen divided on Jammu and Kashmir Chief Minister Mehbooba Mufti statement, dubbing the Separatists' arrest by the National Investigation Agency (NIA) as just an administrative measure. Yesterday, Mufti said the arrests were just an administrative measure and will not solve the real problem of Kashmir. On the one hand, where defence expert P.K. Saihgal opined that Mufti follows appeasement policy, journalist Rahul Jalali said that one needs to see the context in which Mufti made the statement. "One needs to look at the context in which Mehbooba Mufti said this. She was not critical of the NIA. What she said is that administrative measures are no solution," Jalali told ANI. "She continues to be soft towards the terrorists. She continues to follow the policy of appeasement. Her entire votebank is in the south of Kashmir," Saihgal told ANI. Supporting his defence for Mehbooba, Jalali said that the Jammu and Kashmir Chief Minister also said that if the NIA has found evidence against the Separatists, then action should be taken on that issue. "She, in fact, said that the only solution to Kashmir will be found by Prime Minister Narendra Modi. She appreciated his leadership and hoped that Prime Minister Modi, with his attitude, will find a solution to the Kashmir problem," he said. 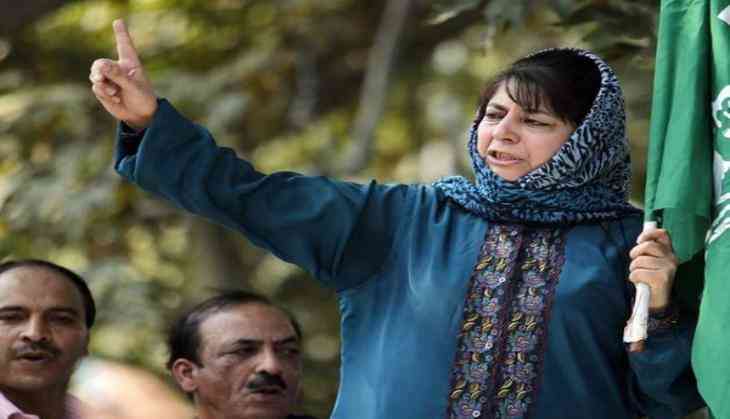 Whereas, Saihgal maintained that former Jammu and Kashmir chief minister Farooq Abdullah's statement that Mufti won the last election primarily because of the Hurriyat support to her is not too far-fetched. "That is why she (Mehbooba) feels she is obliged to stand by them despite the fact, that they are traitors as far as national interest is concerned," he said. "The NIA arrests do not solve any problems; they are just an administrative measure. An administrative measure cannot help us to resolve the situation and cannot address the real problem of Kashmir. It is important to replace it with a better idea," she said at an event organised by the Bureau of Research on Industry and Economic Fundamentals titled 'Understanding Kashmir' here," Mehbooba had said. क्यों 100 रूपये के इस नए नोट से देश के ढाई लाख ATM पड़ गए मुश्किल में ?